Whether a buyer or seller on Amazon, every user recognizes the impact and importance of reviews. Decades ago word of mouth was the main way people verified quality or took recommendations. With the shift to the online marketplace, people’s preferences are shifting, and online reviews are a key decision-making tool for consumers. Despite long existing problems with reliability, people are generally trusting of reviews. According to a Pew Research study, roughly half of U.S. adults (51%) believe online reviews “generally give an accurate picture.” This number increases dramatically among those that frequently read online reviews (61%). For online retailers, this means that many implicitly trust reviews, and many rely on them to make decisions. When it first started, Amazon allowed ‘incentivized reviews.’ These were reviews where the product was heavily discounted, or given out for free. They were perfectly allowed within their terms of service as long as the review mentioned they had received a free product in return for their review. Not surprisingly, the vast majority of these reviews were five star reviews. In some extreme cases, they would follow a literal script from the providing seller. “..Our community guidelines have always prohibited compensation for reviews, with an exception – reviewers could post a review in exchange for a free or discounted product as long as they disclosed that fact. These so-called ‘incentivized reviews’ make up only a tiny fraction of the tens of millions of reviews on Amazon, and when done carefully, they can be helpful to customers by providing a foundation of reviews for new or less well-known products. While innocuous sounding enough, this simple statement would turn out to have a ripple effect. Initially, theybanned the practice but left the reviews themselves. By 2018, waves of new fake reviews were battering Amazon’s shores. The public was fed up with unreliable reviews, and they wanted Amazon to do something about it. In 2018, the other shoe dropped. In an event people had called the Review Apocalypse, Amazon went through and systematically purged hundreds of thousands of reviews. There were cases where a product when from 10,000+ reviews to only a few dozens. While many of these were previously acceptable incentivized reviews, others were more nefariously obtained reviews. Those that break the rules on Amazon use what are called, “Black Hat,” tactics. For product ranking, some sellers will hire out click farms to simulate buying activity, or pay individuals within secret groups to buy products. Some did this through Facebook groups and may not have even been aware they were violating Amazon’s Terms of Service. Amazon banned these reviews. In some cases, they banned the reviewers permanently from Amazon. 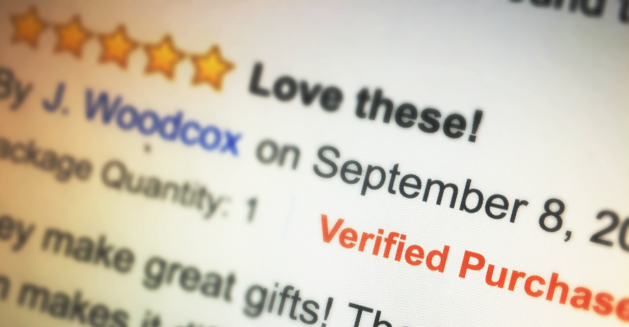 Some seller accounts were shut down for using fraudulent reviews. In the end, the landscape was laid to waste, and sellers were wondering what they were allowed to do in the future, and if they were at risk for their own reviews. They have continued to police reviews since this initial purge, and their algorithm, while hidden, is likely being fine-tuned to recognize review patterns that tip off fraudulent activity (numerous batches of individuals all reviewing the same 10 products would be indicative of a review group, for example). So far, all this article has given you is a long list of punishments inflicted, and potential consequences, but there is some overwhelmingly good news! Sellers that obtain their reviews organically and without groups or incentives will be in a better position going forward. These new changes should cut down on a new product overtaking your quality product in a few days because of hundreds of fake reviews. Basically, if you are doing everything according to Amazon’s current terms of service you have nothing to worry about, and should be pushing for stricter enforcement of the review rules! 1. Have a high-quality product which is shipped safely. With a poor quality product, no amount of pandering will lead to a top rated product. 2. Have excellent customer service which will help to soothe some of the complaints when they do arise. 3. Respond to reviews! When you see negative reviews, immediately refund the customer if you can figure out who it is. Try to message them about getting them a replacement (do this on a case by case basis, when appropriate). 4. Check in on the purchase! There are a number of different services that offer to email the customer on your behalf after they have received their item. Use a clever title, and make it as easy as possible by linking directly to the product review page. 5. Stay up to date on Amazon’s Terms of Service to make sure you are in full compliance and not risking your long-term success. Following these basic suggestions will help keep your product ranking well. While the allure of instant success can lead some to go after fake reviews, it is fool’s gold. Patience, perseverance, quality, and customer service will lead to successful reviews, and long-term success as a seller.